Stylish knitwear for keeping cosy in this season. 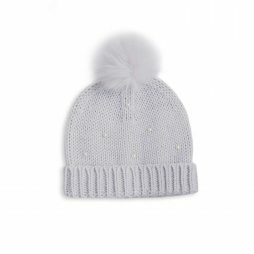 From Katie Loxton’s latest range of knitwear, complete with chic pearl detailing! A beautifully soft, pale grey cable knit blanket scarf complete with a sprinkling of tiny pearls. 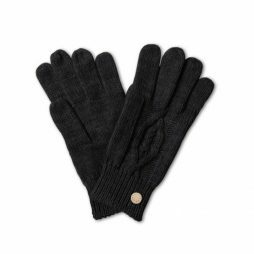 Stylish knitwear to keep you warm and cosy this season. From Katie Loxton’s latest range of knitwear, complete with a gold coloured logo bar! 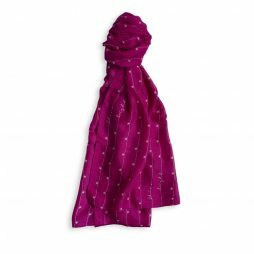 The perfect pop of colour for the new season, this fabulous fuschia herrinbone weave scarf finished with champagne glass and ‘Pop, Fizz, Clink’ sentiment. 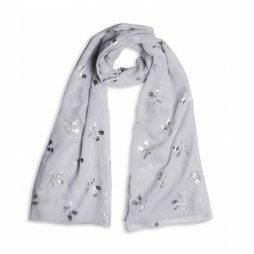 This beautiful Katie scarf is finished with sweet shimmering metallic silver Mr and Mrs bow tags making it the ideal gift for any newly wed. 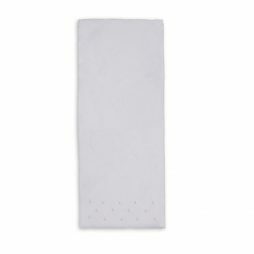 This stunning new ‘Just Married’ scarf is the ultimate wedding accessory. Finished with shining golden sentiments these beautiful “words are golden” greetings card from Katie Loxton are the perfect addition to any gift. 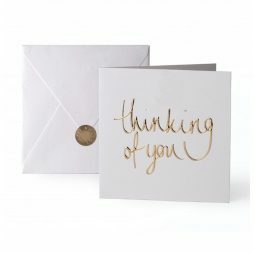 Printed on the front of this card, in Katie Loxton’s signature gold foil is the sentiment “Thinking of You”. Inside is blank for your own message, and there’s even a rounded logo sticker for sealing the envelope! Finished with shining golden sentiments these beautiful ‘words are golden’ greetings card from Katie Loxton are the perfect addition to any gift. 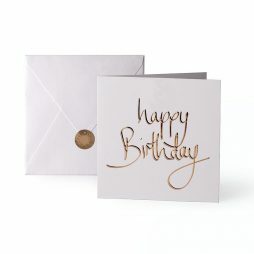 Printed on the front of this card, in Katie Loxton’s signature gold foil is the sentiment ‘happy Birthday’. Inside is blank for your own message, and there’s even a rounded logo sticker for sealing the envelope! 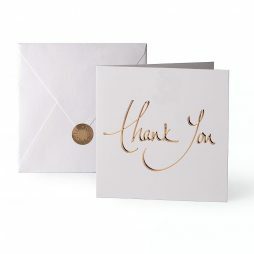 Printed on the front of this card, in Katie Loxton’s signature gold foil is the sentiment ‘ thank you ‘. Inside is blank for your own message, and there’s even a rounded logo sticker for sealing the envelope! If you would like us to write the card for you, just add a note in the message section at check out when you place your order and we will arrange this. 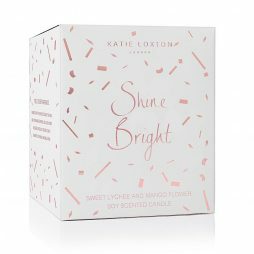 Designed to uplift and inspire these beautiful candles from Katie Loxton’s home collection are now available with sparking metallic detail. 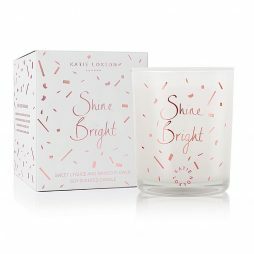 Crafted from the highest quality essential oils and soya wax with a floral, Sugar Orchid and Pink Grapefruit aroma in a sleek glass jar with the sentiment ‘Sparkle and Shine’. 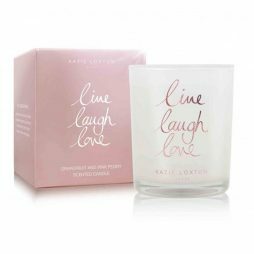 Crafted from the highest quality essential oils and soya wax with the fruity fragrance of Beach Rose and Sweet Pea in a sleek glass jar with the sentiment ‘Shine Bright’. 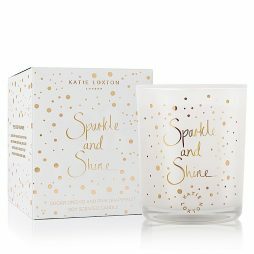 Designed to uplift and inspire these beautiful candles from Katie Loxton’s home collection are now available with sparling metallic detail. 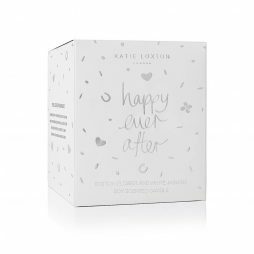 Crafted from the highest quality essential oils and soya wax with a cotton flower and white jasmine aroma in a sleek glass jar with the sentiment ‘Happy Ever After’. 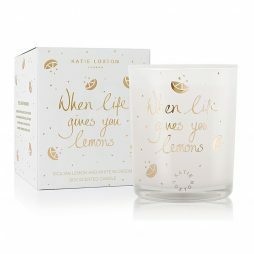 Crafted from the highest quality essential oils and soya wax with a fruity Sicilian lemon and white blossom aroma in a sleek glass jar with the sentiment ‘when life gives you lemons’. 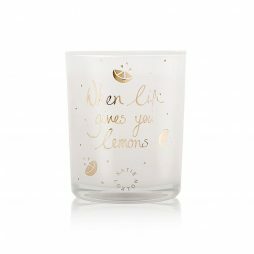 Give the perfect luxury little gift with these fabulous handwritten Metallic Sentiment candles. 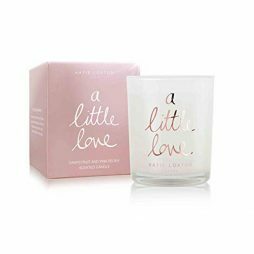 Filling the room with the bright and uplifting fragrance of grapefruit and pink peony aroma, and presented in a glass jar with metallic rose gold handwriting A Little Love and packaged in a luxurious gift box. 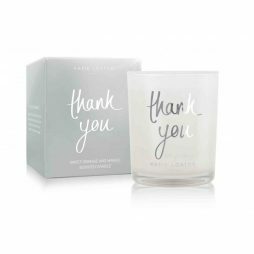 What better way to say Thank You than with this fabulous fruity sweet orange and mango candle. 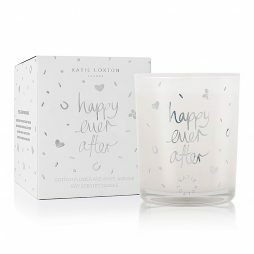 Give the perfect little luxury gift with these fabulous handwritten Metallic Sentiment candles. 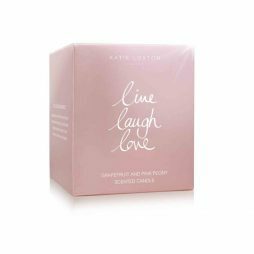 Filling the room with the feel good fragrances of grapefruit and pink peony aroma, and presented in a glass jar with metallic rose gold handwriting Live Laugh Love and packaged in a luxurious gift box. The perfect gift to celebrate weddings and anniversary’s. These fabulous new golden handwritten sentment candles will fill any room with the most delighful limoncello and prosecco fizz aroma. Presented in a glass jar with metallic golden handwriting ‘ Mr & Mrs ‘ and packaged in a luxurious golden gift box. 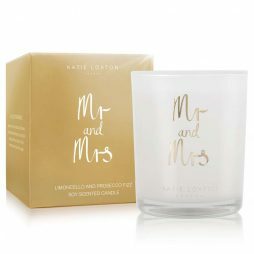 Give the perfect gift for any occasion with these fabulous new rose gold handwritten sentment candles. 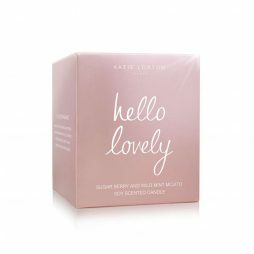 Filling the room with the most delighful Sugar berry and mint mojito aroma, and presented in a glass jar with metallic rose gold handwriting Hello Lovely and packaged in a luxurious gift box. The perfect gift for any celebration, these fabulous new golden handwritten sentment candles will fill any room with the most delighful champagne and sweetheart strawberry aroma. 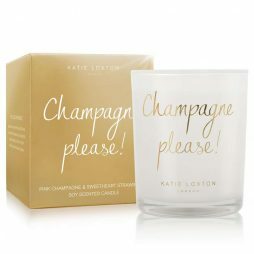 Presented in a glass jar with metallic golden handwriting ‘Champagne Please’ and packaged in a luxurious golden gift box. 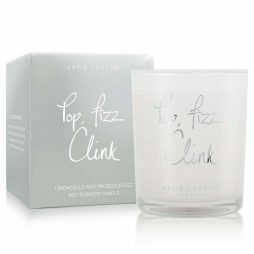 Give the perfect gift for any celebration with these fabulous new metallic silver handwritten sentment candles. Filling the room with the most beautiful limoncello/prosecco fizz aroma and presented in a glass jar with metallic silver handwriting Pop Fizz Clink and packaged in a luxurious silver gift box. 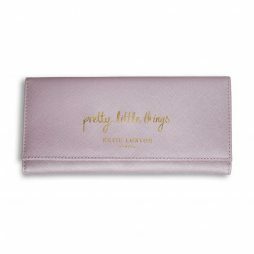 Your jewellery is going is to be weekend away and holiday ready while looking fabulous, stored in this shimmering on-the-go pink jewellery roll from Katie Loxton. 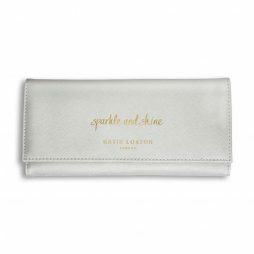 Your jewellery is going is to be weekend away and holiday ready while looking fabulous, stored in this shimmering on-the-go gold jewellery roll from Katie Loxton. 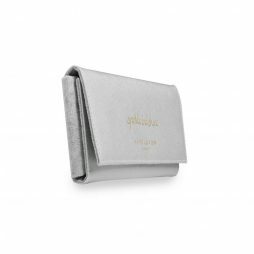 Your jewellery is going is to be weekend away and holiday ready while looking fabulous, stored in this shimmering on-the-go silver jewellery roll from Katie Loxton. 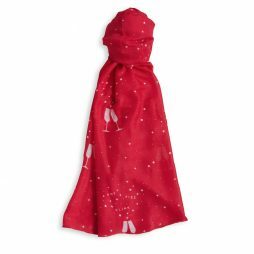 Guaranteed to bring some warmth to your wardrobe this season, this beautiful berry pink Katie Loxton Shine Bright Sentiment Scarf features a strings of stars with the sentiment ‘shine bright’ printed in white handwritten text. 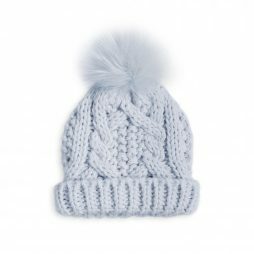 This super soft baby blue knitted bobble hat features a folded trim and the sweetest fluffy powder blue pom pom. The perfect gift for your newborn baby. Stylish knitwear to wrap up warm in this season, from Katie Loxton’s latest range of knitwear, complete with pretty pearl detailing! 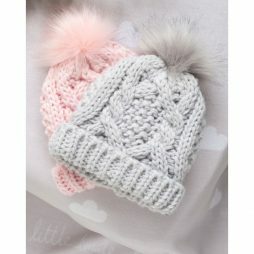 A beautiful soft, pale grey cable knit hat complete with a folded trim, a sprinkling of tiny pearls and a fluffy pop pom for a touch of chic. 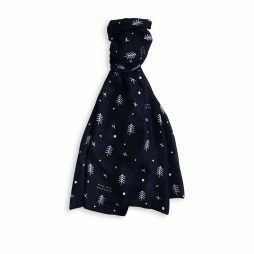 Sure to bring some warmth to this seasons wardrobe, this beautiful navy Katie Loxton Magical Moments Sentiment Scarf is detailed with a fir tree print and the sentiment ‘magical moments’ printed on the bottom edge in white capital text. 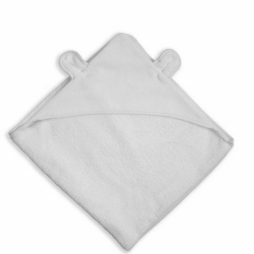 This super soft and oh so cute hooded bear towel in dove grey is going to keep baby super cosy after his or her bath. 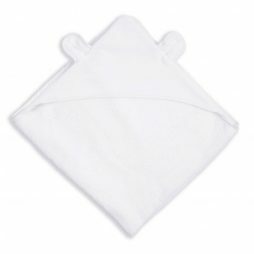 This super soft and oh so cute hooded bear towel in white is going to keep baby super cosy after his or her bath. 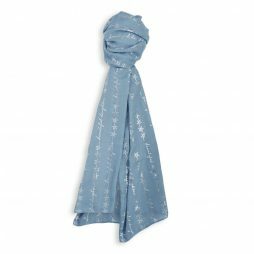 Sure to bring some warmth to your winter wardrobe with this beautiful soft Misty Blue Katie Loxton Beautiful Daughter Sentiment Scarf, detailed with falling stars and the sentiment ‘beautiful daughter’ in handwritten text, all in shimmering metallic silver. Katie Loxton’s brand new go-to-bag for every occasion. 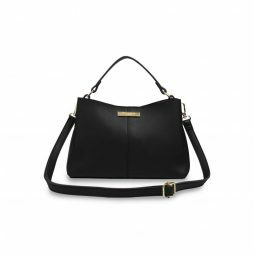 This beautiful classic black handbag has a soft saffiano surface, a large open pocket on the front and is finished with Katie’s golden logo bar at the top. There are two carry handles and a simple fabric lining inside. Katie Loxton’s brand new go-to-bag for every occasion. 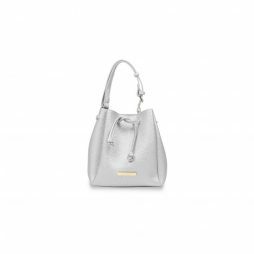 This beautiful dove grey handbag has a soft saffiano surface, a large open pocket on the front and is finished with Katie’s golden logo bar at the top. There are two carry handles and a simple fabric lining inside. 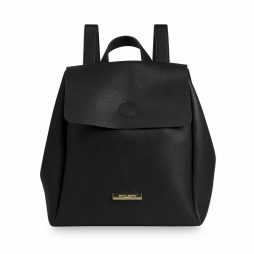 Brand new Bea back pack in classic black, finished with a soft suedette lining that’s perfect for every day use. 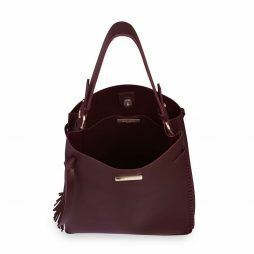 The bag features two adjustable shoulder straps on the back and a small carry handle on top, a gold branded logo bar on the front and a press stud fastened flap. 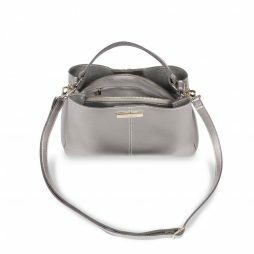 Another must-have addition from Katie Loxon, this Half Moon bag, in soft grey is finished with a gold logo bar and chain strap. 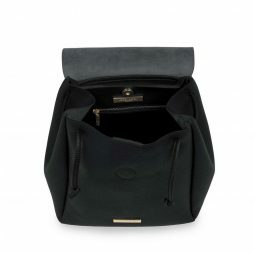 Detailed with a golden zip fastening with two zip pulls for easy access and a matching black fabric lining inside, with an open saffiano textured pocket for small valuables. These special new editions, mother and me pouches are designed to give you a stylish way to carry your mama and baba essentials. 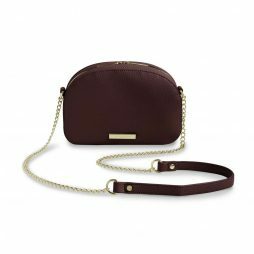 Another must-have addition from Katie Loxon, this Half Moon bag has soft burgundy textured surface, finished with a gold logo bar and chain strap. Detailed with a golden zip fastening with two zip pulls for easy access and a matching black fabric lining inside, with an open saffiano textured pocket for small valuables. 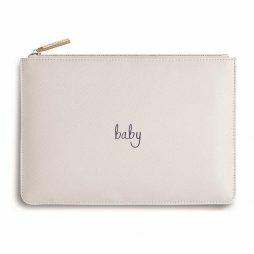 Introducing Katie Loxton’s gorgeous new additions to her Florrie day bag collection . 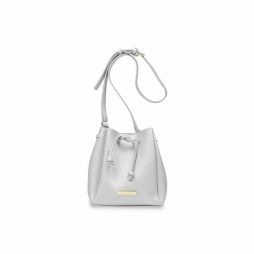 This soft grey everyday hand bag features side stitching detail and Katie’s statement tassel, making this bag our must have for everyday chic. 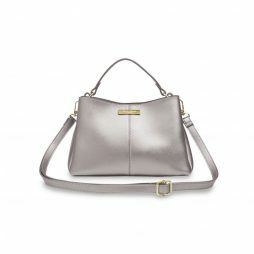 Katie Loxton Mini Chloe Bucket Bag in metallic silver. The ever popular Chloe bucket bag is back for summer in a new mini version from Katie Loxton! 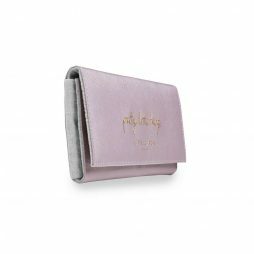 Finished with a soft suedette fabric in this seasons must have colours, it’s the perfect way to carry your everyday essentials around stylishly. This new mini version is the ultimate day to night bag for summer. 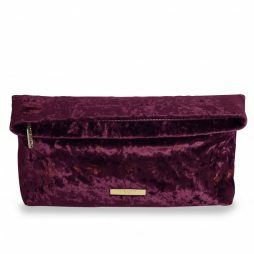 This luxury over-sized clutch bag in a crushed berry velvetine features a golden logo bar at the bottom and gold zip detail, with matching fabric lining and panel inside, stamped with the brand logo. 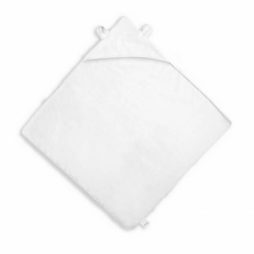 This verstaile clutch can be worn open or folded down making it your must-have party piece! 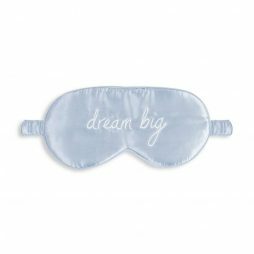 Katie Loxton Dream Big Satin Eye Mask in powder blue. 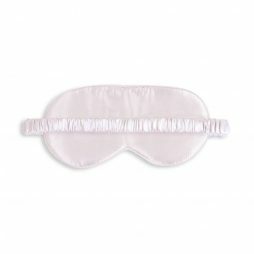 Made from the softest pale blue satin, this luxury eye mask from Katie Loxton’s collection is beautifully stitched with the sweet sentiment ‘dream big’ on the front in elegant white handwritten lettering and features an elasticated headband for easy wearing. 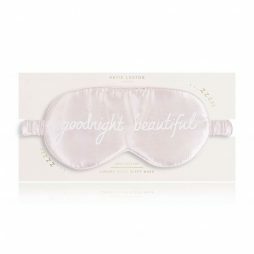 Made from soft pale pink satin, this luxury eye mask from Katie Loxton’s collection is beautifully stitched with the sweet sentiment ‘dream big’ on the front in elegant white handwritten lettering and features an elasticated headband for easy wearing. 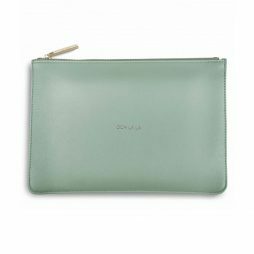 Katie Loxton Ooh La La Pouch in mint. From Katie’s best selling perfect pouch collection, this bright and beautiful handwritten sentiment pouch in mint makes a gorgeous statement. 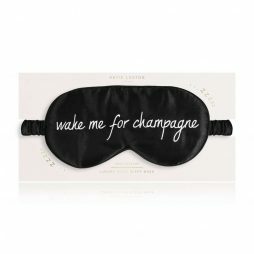 This clutch bag has the sentiment ‘ Ooh La La ‘ in the most elegant gold handwritten lettering. Katie Loxton Wow Perfect Pouch in orange. From Katie’s must have perfect pouch collection, this fun orange, handwritten sentiment perfect pouch is every girls must have clutch. 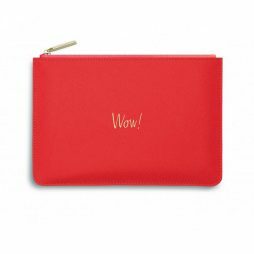 This clutch bag in orange has the sentiment ‘ Wow ‘ in the most elegant gold handwritten lettering. 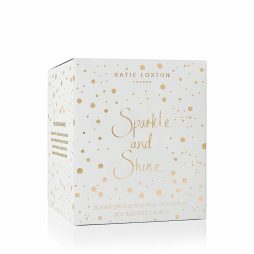 Katie Loxton Totally Awesome Pouch in blue. From Katie’s best selling perfect pouch collection, this beautiful blue, handwritten sentiment perfect pouch is every girls must have clutch. 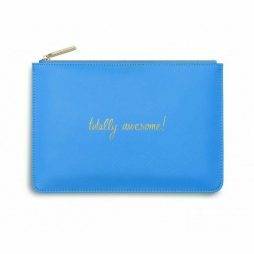 This clutch bag in blue has the sentiment ‘ totally awesome ‘ in the most elegant gold handwritten lettering. 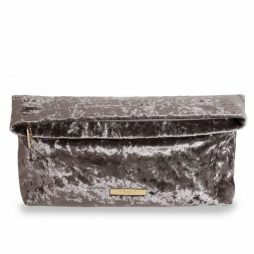 This must-have metallic charcoal bag has a soft vegan leather saffiano finish with a double panel style design, detailed with central stitching and a gold logo bar at the top. 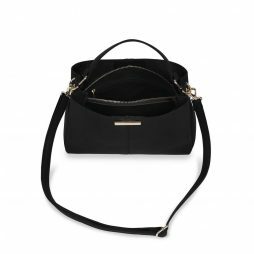 The adjustable, detachable cross body strap and carry handle make this Katie Loxton handbag ultra versatile. 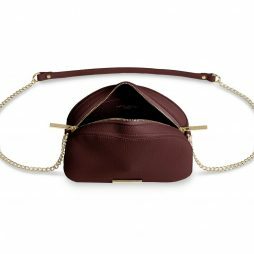 Inside there are three compartments; a pocket in the middle with a golden zip fastening and two more open pockets on either side with a press stud fastening. 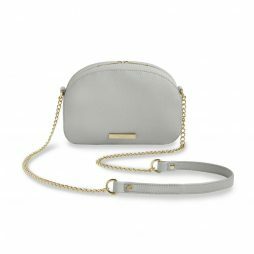 Introducing Katie Loxton’s gorgeous new Myla cross body day bag. 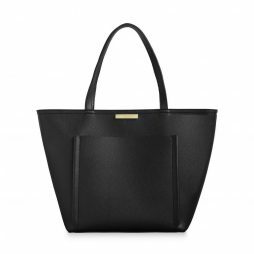 This go-with-everything black bag has a soft vegan leather saffiano finish. 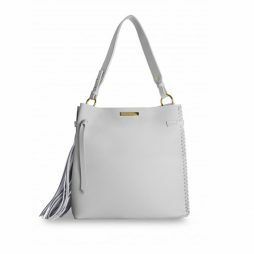 The adjustable, detachable cross-body strap and carry handle make this Katie Loxton handbag ultra versatile. 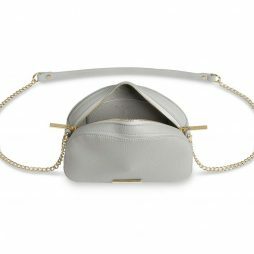 Inside there are three compartments; a pocket in the middle with a golden zip fastening and two more open pockets on either side with a press stud fastening. 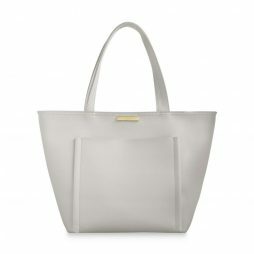 Introducing Katie Loxton’s gorgeous new additions to her Florrie day bag collection . 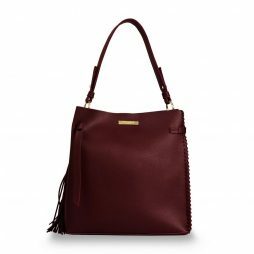 This gorgeous burgundy everyday hand bag features side stitching detail and Katie’s statement tassel, making this bag our must have for everyday chic. 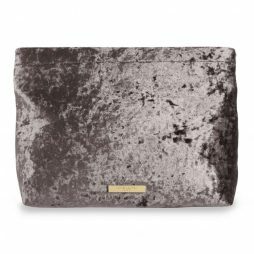 This luxury over-sized clutch bag in a crushed taupe velvetine features a golden logo bar at the bottom and gold zip detail, with matching fabric lining and panel inside, stamped with the brand logo. 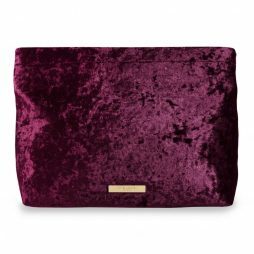 This verstaile clutch can be worn open or folded down making it your must-have party piece!